Treat yourself and a friend to three fabulous treatments each as you both unwind, diminish stress and soak in the tranquil atmosphere. You will both receive a 25 minute Swedish neck, back and shoulder massage, and you can also receive two of the following 15 minute treatments: a nail file and polish, scalp massage, leg massage or a hands and arm massage. The massage will target key areas that hold stress and banish any muscle aches, pains and knots that result from hectic, daily life. The nail file and polish will leave you feeling truly indulged, as the scalp massage eases you in to total relaxation. Each treatment will normally take place in conjunction, allowing you to experience total revival simultaneously. On arrival you will meet with one of the health club's receptionists who will confirm the time of your treatments and where to go to have them. Following your treatments, spend the rest of your day enjoying unlimited use of the health and fitness club facilities which typically include an extensive air-conditioned gym, pool, spa pool, steam room and sauna, as well as a program of fitness classes including Tai Chi, pilates, boxercise, aerobics etc (subject to availability and location). Whether you wish to spend your day toning and strengthening your mind or your body, relax, unwind and enjoy a day of superb pampering heaven. The treatments last roughly 1 hour in total and the health club facilities can be enjoyed all day. The venue will need to be informed of any medical conditions or allergies at the time of booking. It was brought for 40th anniversary from son and daughter really pleased. There is a wide range of top-quality health spar centres you can redeem Activity Superstores vouchers. We used Bannatyne and it was excellent! It was truly a day of indulgence! We will definitely use it again. The customer service of Activity Superstore is excellent. The staff are professional and friendly. They respond to email inquires within 48 hours, and get the problems solved in a timely manner. Highly recommend. 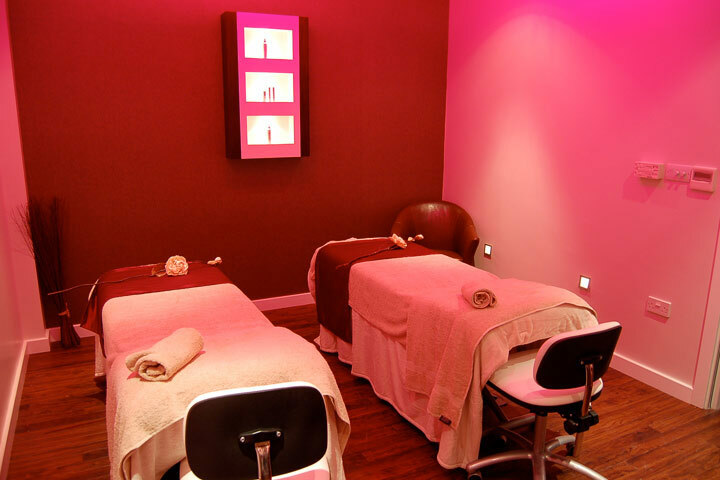 Spa day for two at Bannstynes. Staff friendly. Pool great. Really clean, best massage ever. Free parking, Want to go again!! Me and my partner enjoyed our experience at Bannatyne Stotfold. The venue itself was amazing! The staff made us feel welcome from the moment we arrived. My favourite part of the treatments was the facial and getting my eyebrows done because I love looking after my skin. We also love the fact that we had access to all the facilities including the gym and the swimming pools/sauna. Overall the experience went well and we most definitely would go back for this experience! Was for a bday present, was wonderful. Would recommend to anyone. My husband and I got a great value deal on a spa day with two treatments for two people, which we used at Bannatyne Spa in Perth. It was really easy to choose and book the experience through the Activity Superstore, and I would definitely buy another experience in the future.